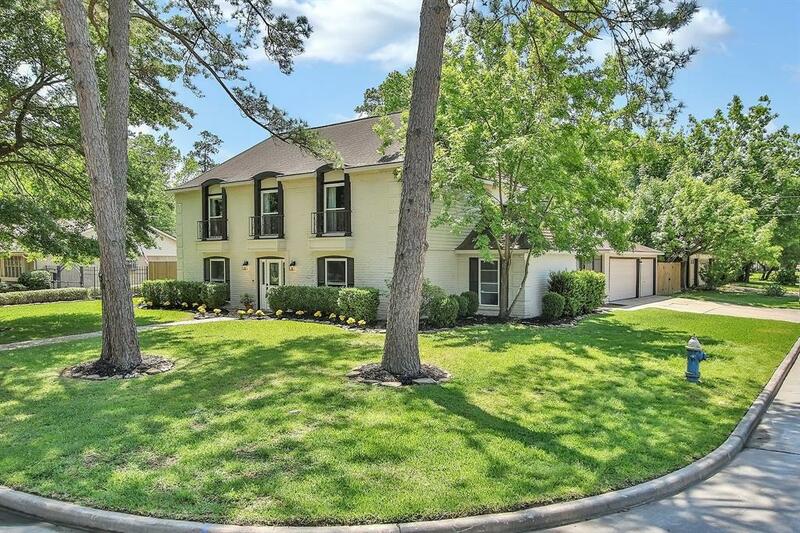 Spacious 4 bedroom home on premium corner lot with a 3 car garage on a cul-de-sac street. 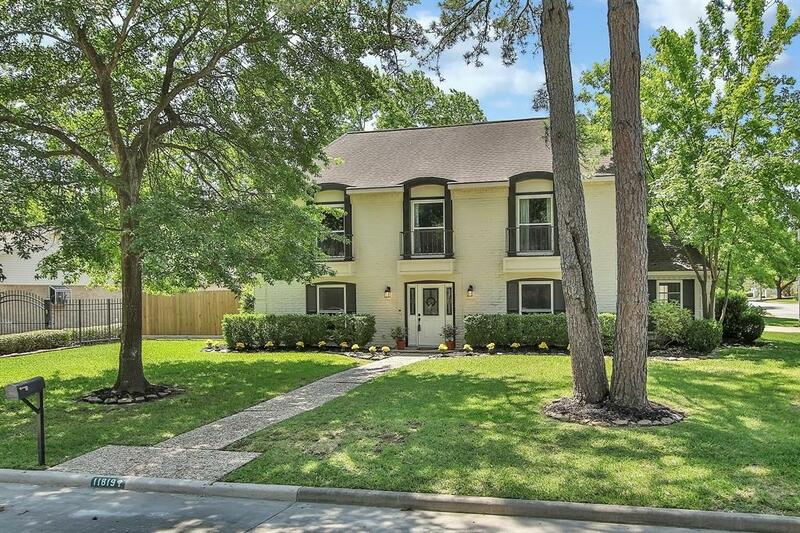 Beautifully updated home boast easy to maintain wood look tile throughout the first floor. Family room has stack stone fireplace surrounded by custom shelving. 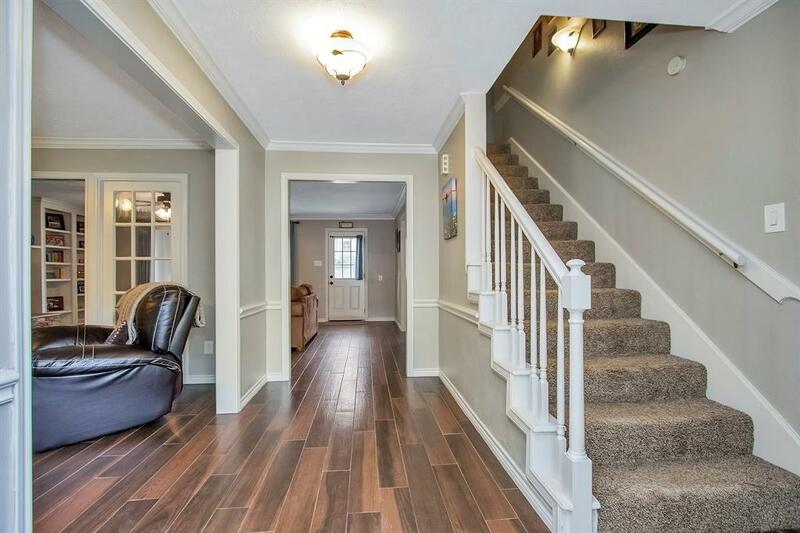 Formal living is connected to family room through french doors, perfect for entertaining. Remodeled kitchen complete with updated cabinetry, granite counters, tumble marble backsplash and stainless steel appliances. Huge laundry room with clothing bar has space for that extra fridge or freezer. Formal dining room has direct access to kitchen (currently used as a bedroom). New carpet upstairs, with laminate flooring in the master suite. Granite counters and bronze fixtures adorn all bathrooms. 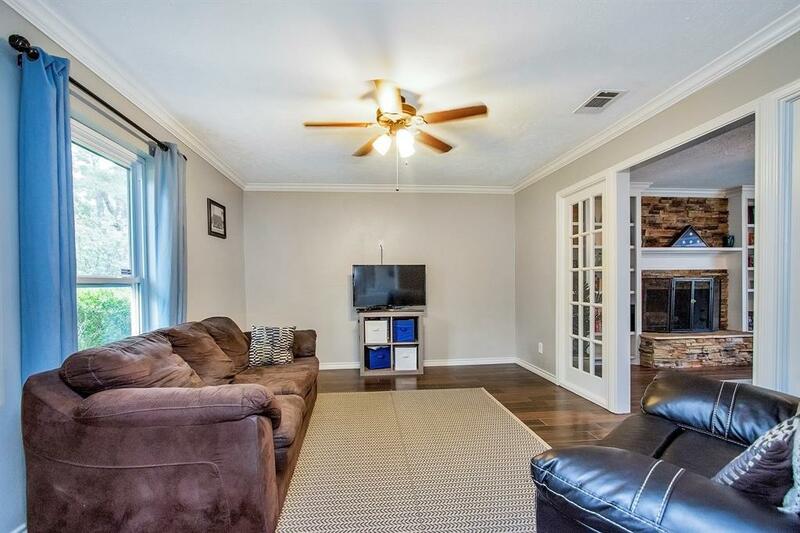 Neutral paints, ceiling fans and closet space abound here. Take a step out back to your gunite pool, perfect for our hot Texas summers. Roof (2010), AC (2017), breaker box updated (2006) and Pool pump and sand filter (2017).